Jacki Sturgis was never a particularly imaginative woman, her granddaughter explained. She went to Catholic school as a child in Monterey, California, and married into an Italian fishing family at eighteen-years-old. She was a tiny woman, not even five-feet in height, and skinny as a rail. While most of her Polish family members came off bulky and stout, she couldn’t put on a pound to save her life. She was also a fierce little thing and not someone to cross. “It’s like I always say. When life gives you lemons, make lemonade,” Glenn chimed in. “There wasn’t anything real remarkable about her, which is mean to admit about your own grandmother I know, but it’s true. She watched television, but had no real favorite shows. She liked the old television show channel, the one that shows Gunsmoke and Bonanza all the time, but would really watch anything put in front of her. To be honest, I’m not sure what my grandfather saw in her. I suppose she was an attractive little thing, so that must be it. to a drunk driver in San Jose. My uncle is at the bottom of the Pacific Ocean thanks to a heart attack or something that caused him to fall off the edge of a fishing boat. They never found his body. My grandfather died in the 90s from a bad case of the flu. Being a chain smoker, he wasn’t prepared for how ill prepared his lungs were for a bad virus. Doug and Glenn learn of the curse. “Smoking was a big thing in our family. I’m the only one who doesn’t smoke actually. My grandmother was a chain smoker like my grandfather, so it came as no surprise that she got diagnosed with cancer around 2009 when she was in her seventies. At that time she was already well into her fixation on Catholic saints, especially Junipero Serra. When he was beatified in 1988, she was there looking on, near his grave site at the Carmel Mission. She started praying to them, but didn’t seem so crazy about it until her diagnosis. 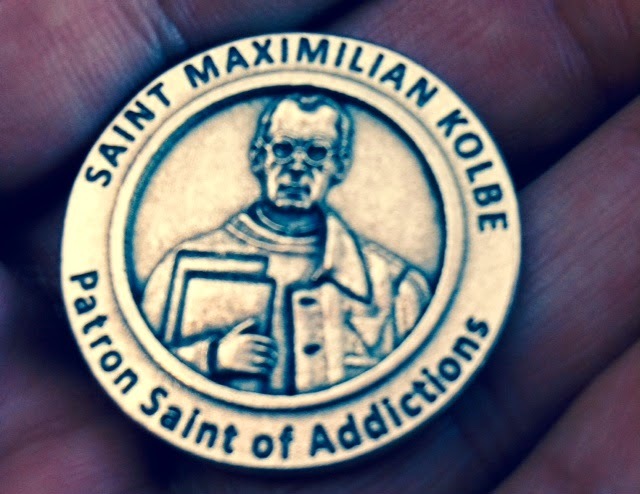 At that time she turned her attention to Saint Kolbe, patron saint of addictions, and asked him to clear her heart and soul of all desire to smoke. She even had a coin with his face on it. She clung to that thing every day. Of course when her prayers went unanswered she fell into a severe depression. She would tell me about her disappointment in him when we talked on the phone. I wasn’t surprised her addiction to smoking didn’t clear up. Her anger about took me back, however. She was always a strong woman, very black and white, but even she knew how fickle faith could be. At least I thought so. It could be the older she got the more she wanted to believe in a higher power. Maybe she thought she deserved a little help after living such an ordinary life. In either event, she began to spend every minute of her time researching saints. That’s when things got pretty weird. 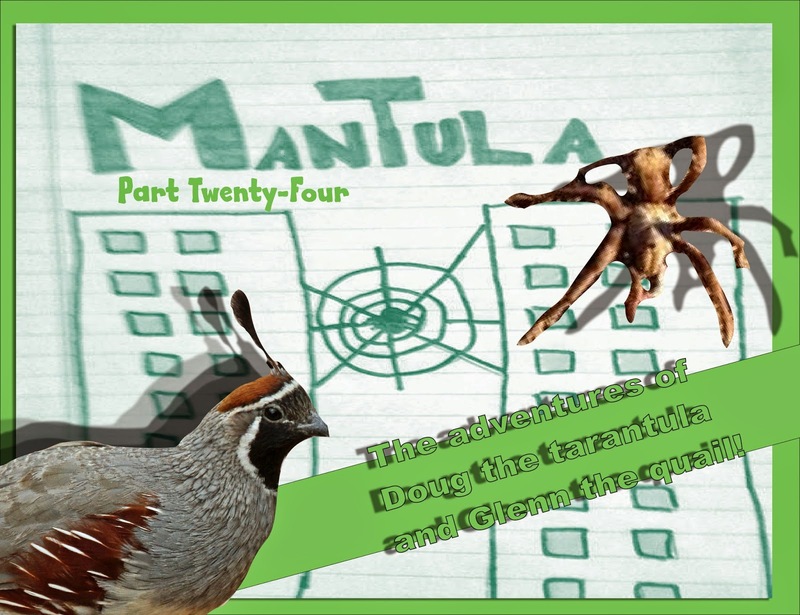 “It sounds like Kolbe never answered any of her emails though,” ManQuail replied. I typed on her laptop, allowing Diana a moment to read the question. “How does the curse factor into all of this?” I asked. “Doug,” I reminded her. It hurt a little she didn’t remember my name the first time around. Jacki Sturgis burned images of Kolbe. “Her craziness about the saints really got the best of her, Doug. She up and moved out here in order to find the saints herself. She had money, so getting a little place in Cottonwood wasn’t an issue for her. In fact, she stills own the family home on Spaghetti Hill in Monterey, or I do I suppose, since she left everything to me. I moved from San Francisco here with her when her health deteriorated. I was able to move my business without losing any contracts, so it wasn’t difficult. She tried so hard to find Kolbe, and was so convinced he lived in Sedona, that she was devastated when nothing changed in her life. She grew despondent and eventually started praying to other saints, including Dymphna, who she said is the patron saint of the mentally ill. Again nothing. No response. No help. She got in a bad way. “I was busy setting up Flight Services at the time, so it took a week or two for me to notice how ill she’d become. She hid it from me mostly. But one day she collapsed, just dropped, here in the living room after making dinner. Within half a week she was on hospice care. Nurses came in daily, I stayed home for the most part, and while I sat with her, she would tell me of her disappointment. Often, I’d hear her mumbling something she said came from her Polish ancestry, something called ‘spoiling,’ which is essentially putting a curse on someone. In her case, she cursed both Dymphna and Kolbe to be beset with those they could not help – people who suffered like her. She burned tokens with their likenesses, spit as she said their name, and chanted a nursery rhyme she learned from her mother, my great grandmother, long ago. They die in the pit. “Bug and birds, like you and I. Reptiles and rodents, if we’re suffering from addiction, must suffer from depression, all of them,” I said. “But the question is, how do we fix this?” I started typing again for Diana’s benefit and asked that very same question. She read the question and, after a moment, shrugged.